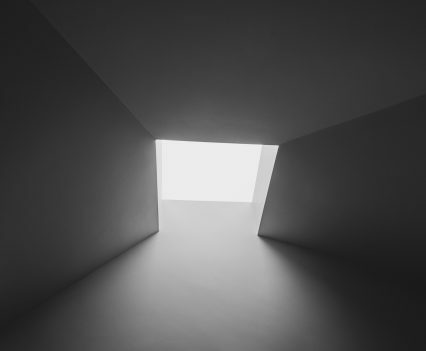 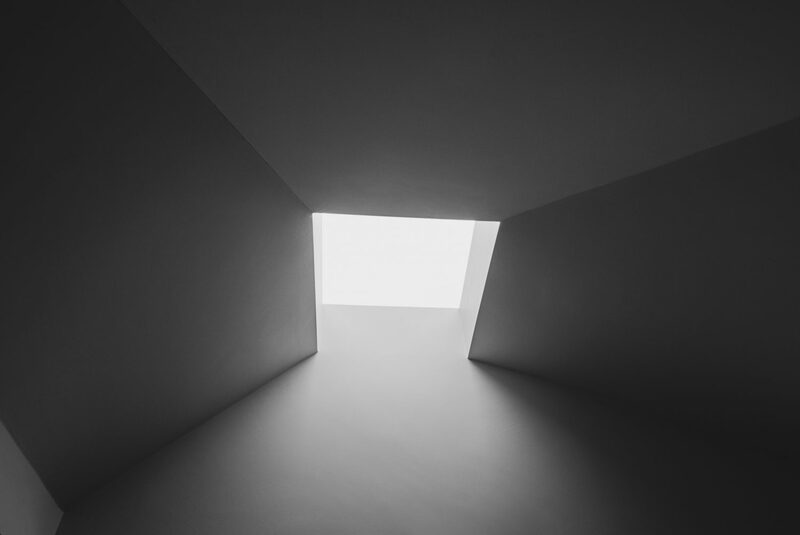 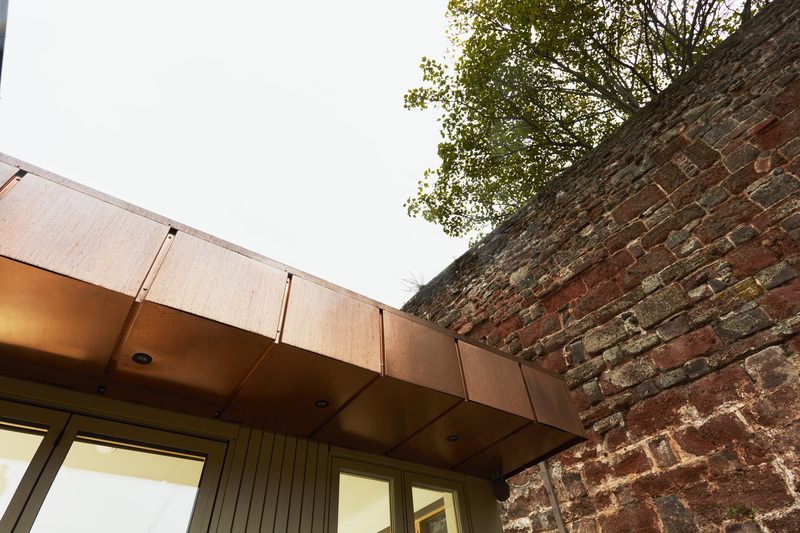 A sculpted roof light frames views of the sky and the canopy of the existing tree above the city wall. 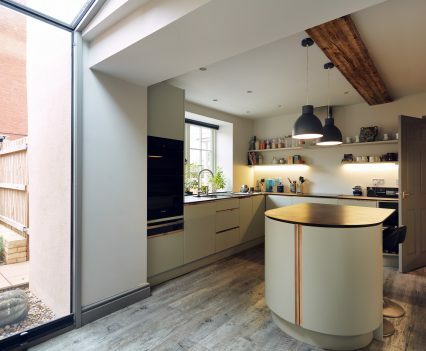 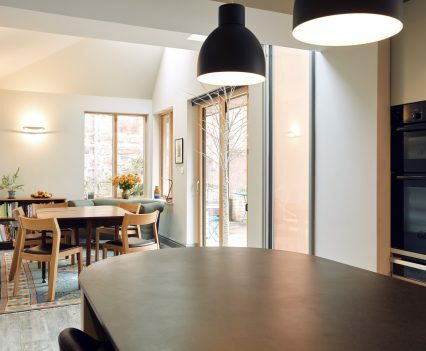 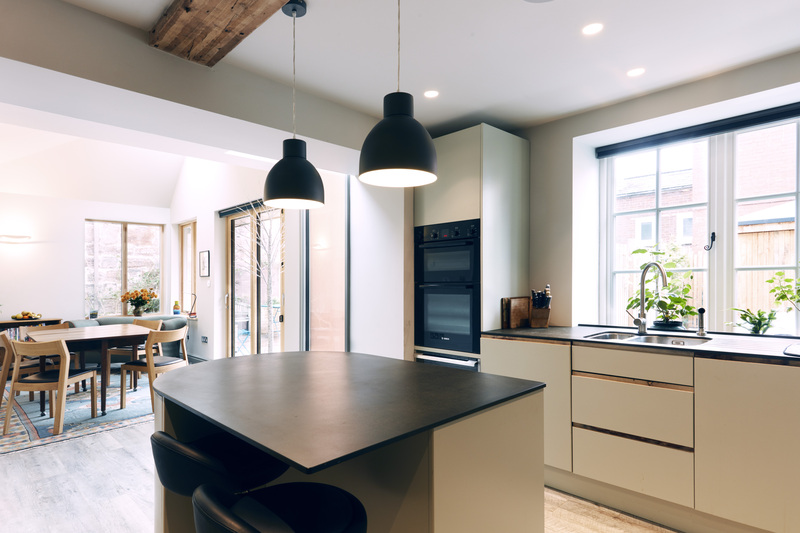 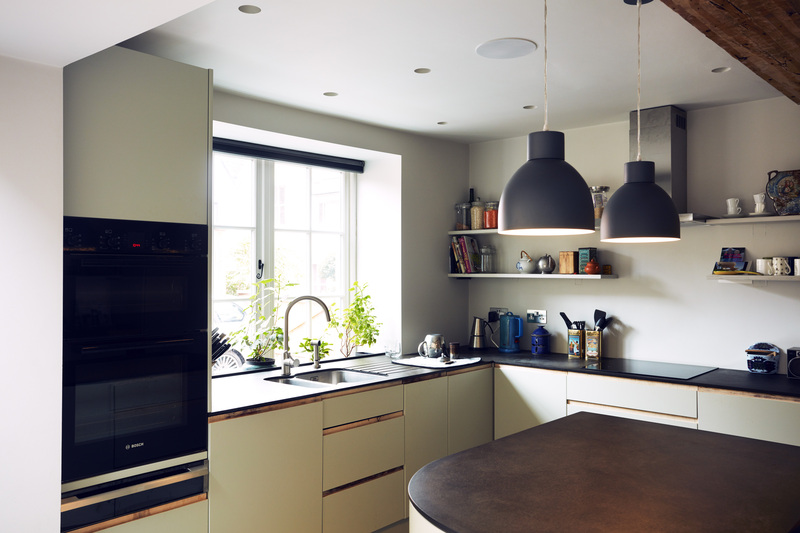 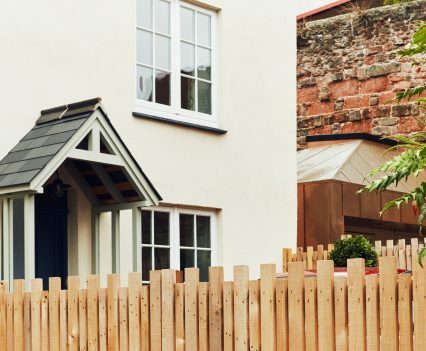 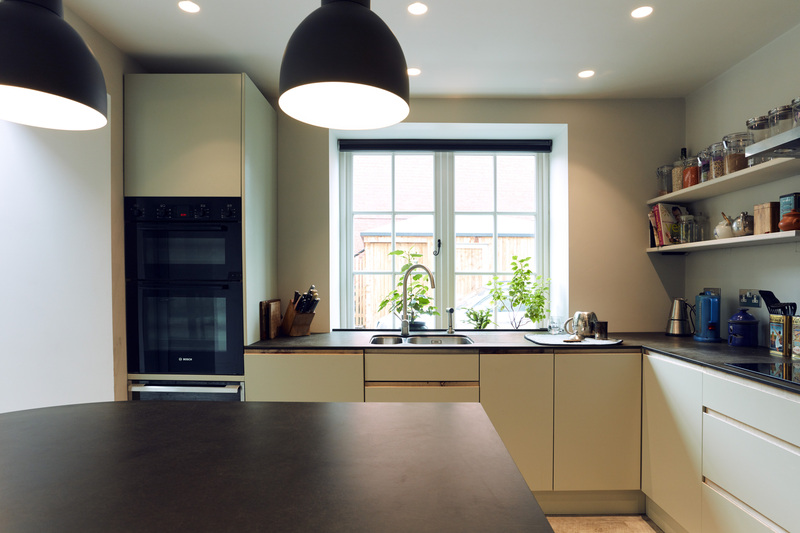 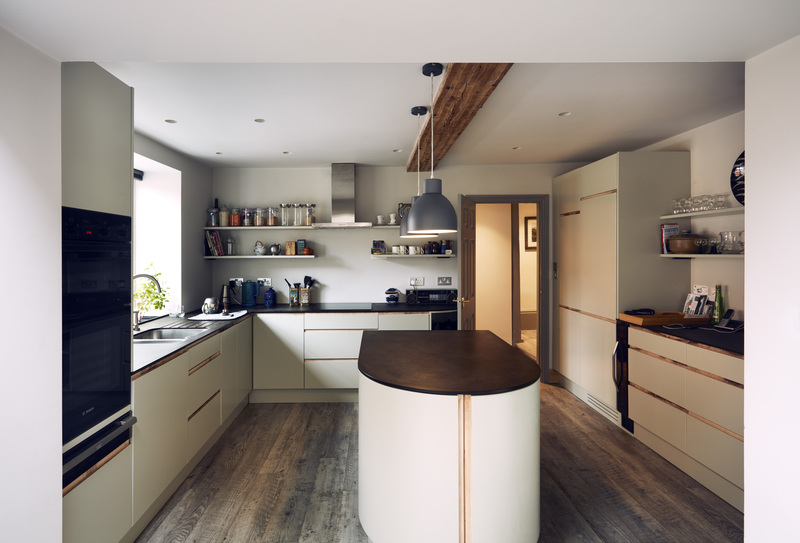 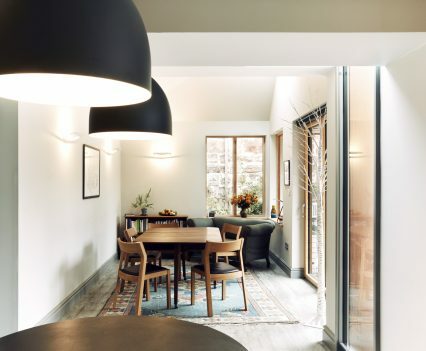 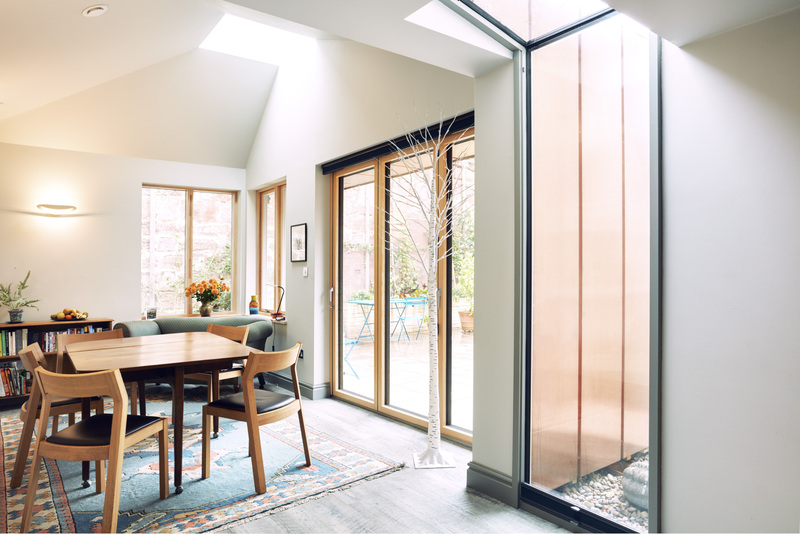 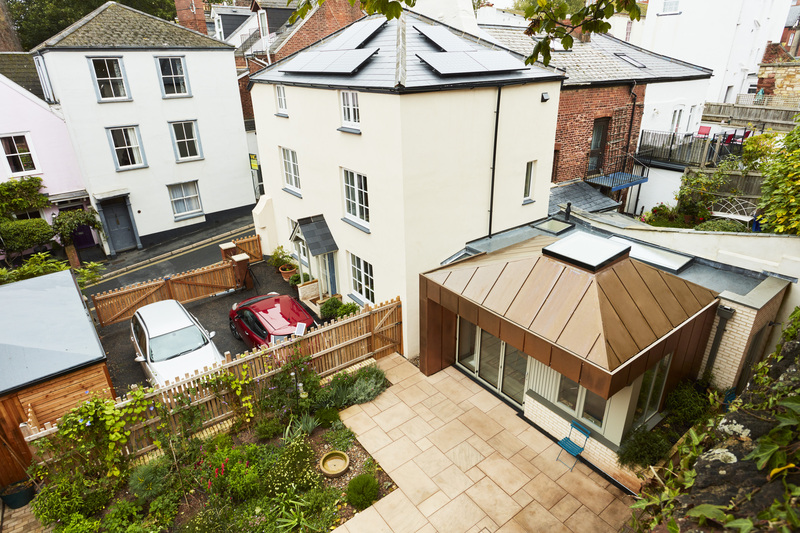 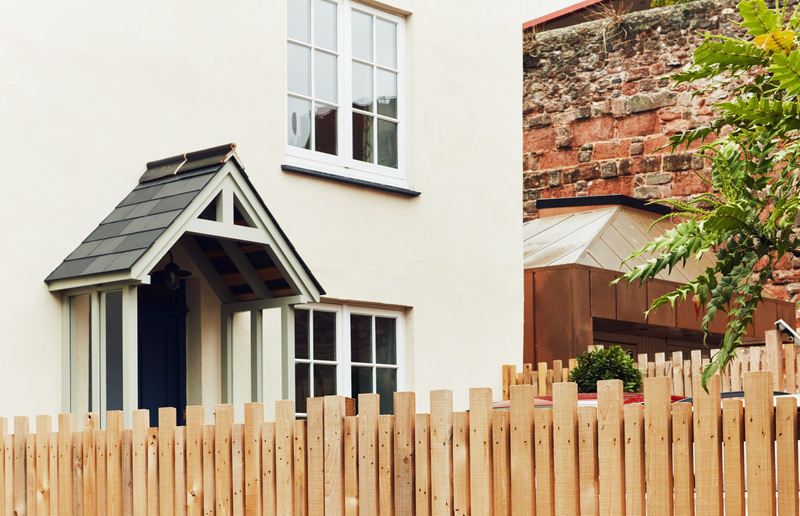 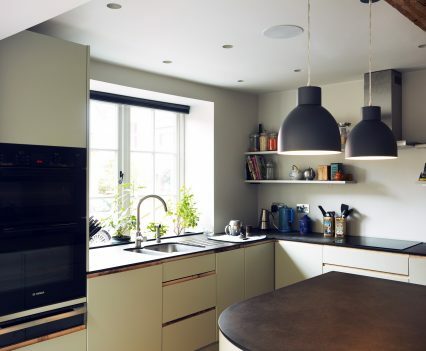 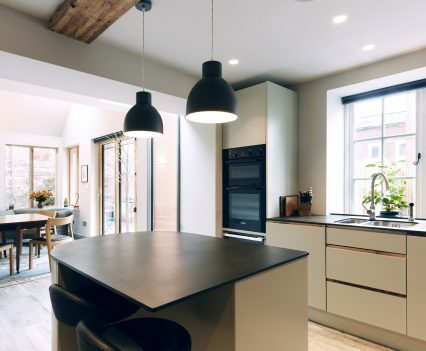 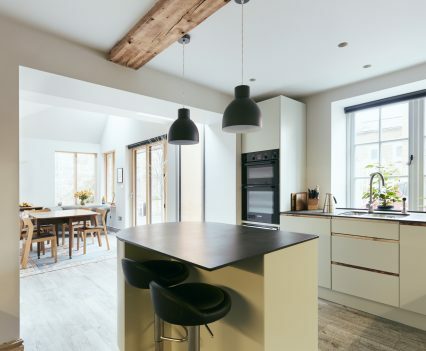 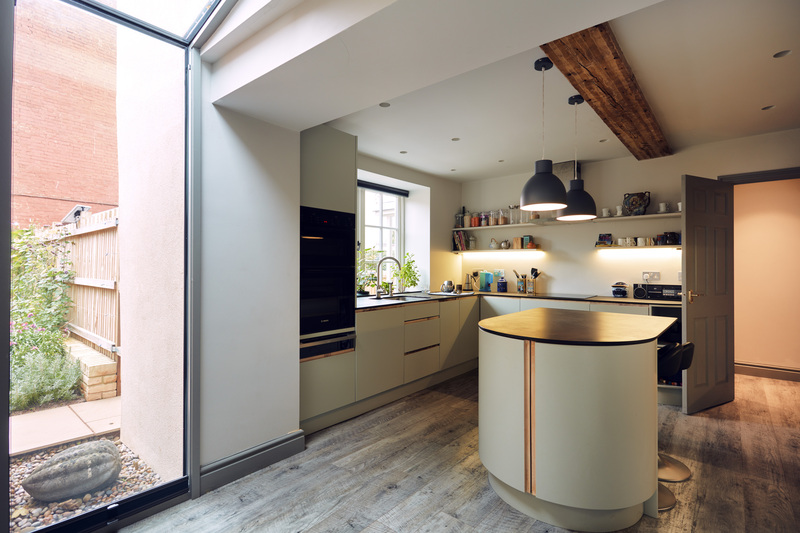 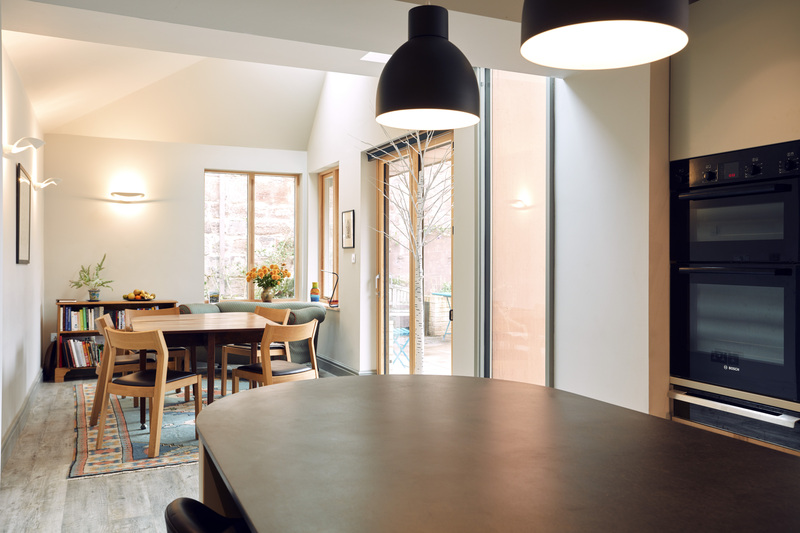 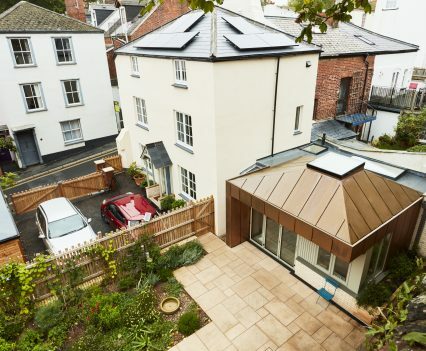 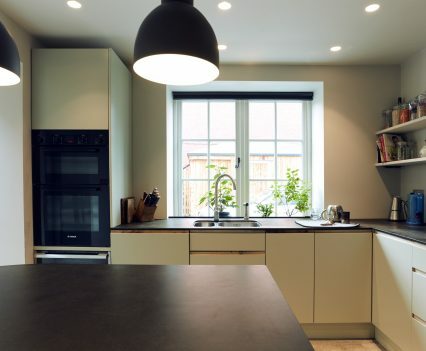 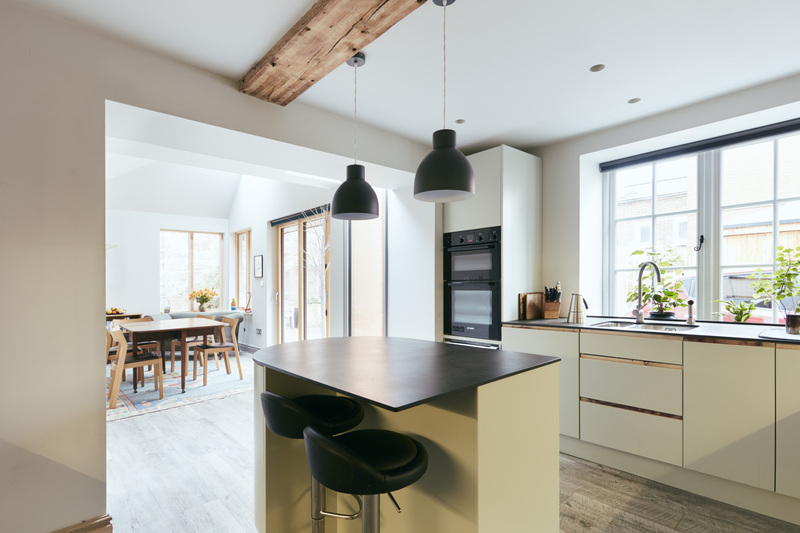 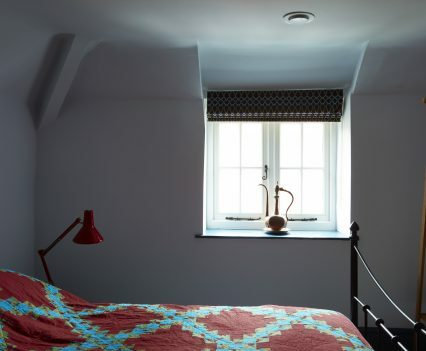 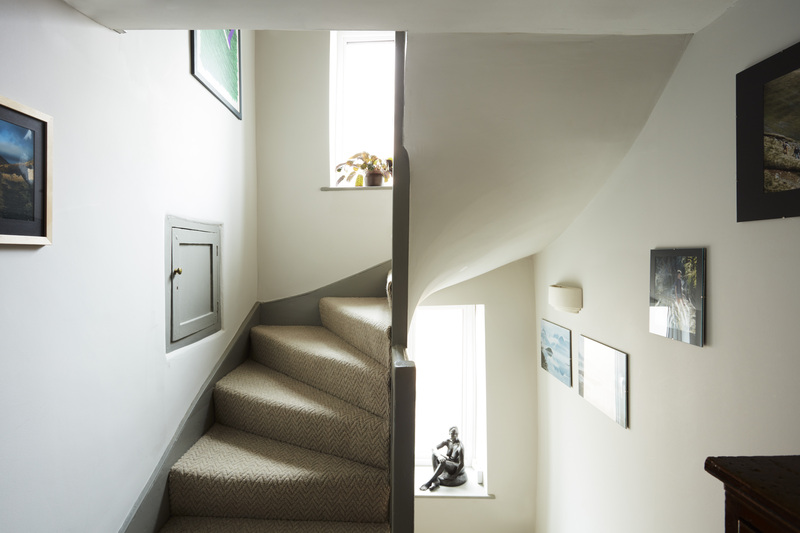 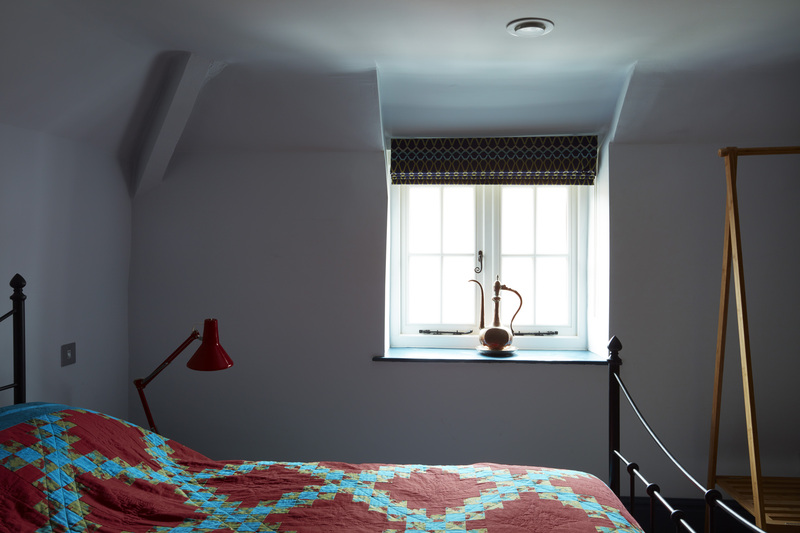 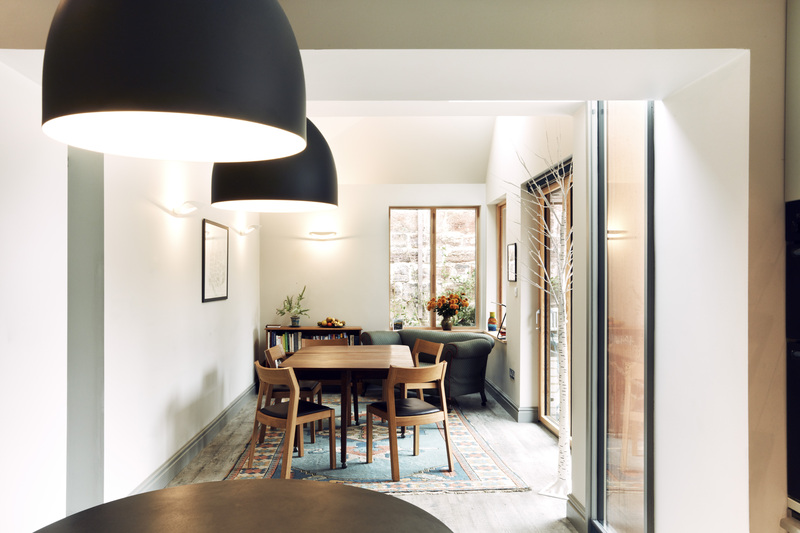 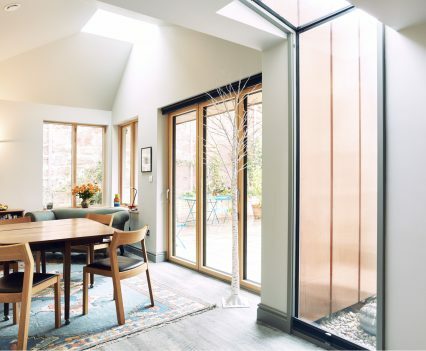 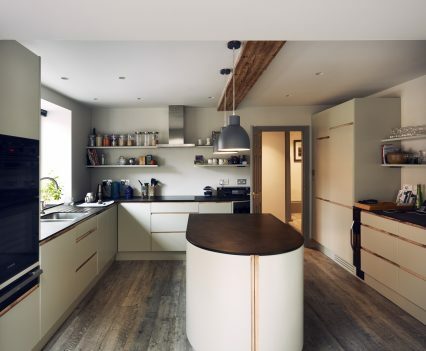 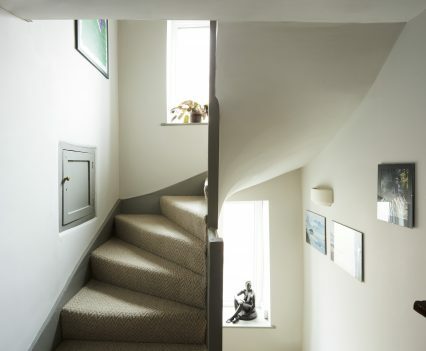 This was an ambitious project to transform a run down Georgian house in the centre of Exeter, Devon into an energy efficient contemporary home. 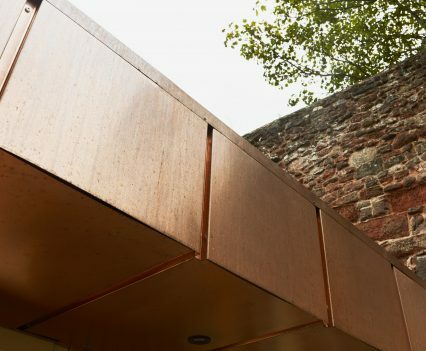 In the heart of Exeter’s City Centre Conservation Area the original building was locally listed and in the setting of the historic City Wall, a Scheduled Monument. 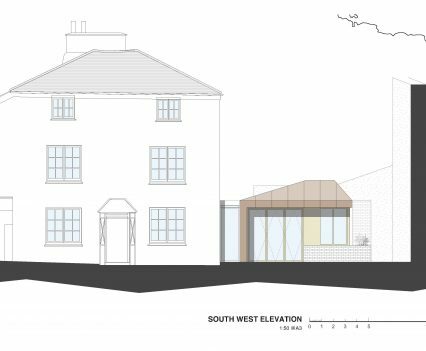 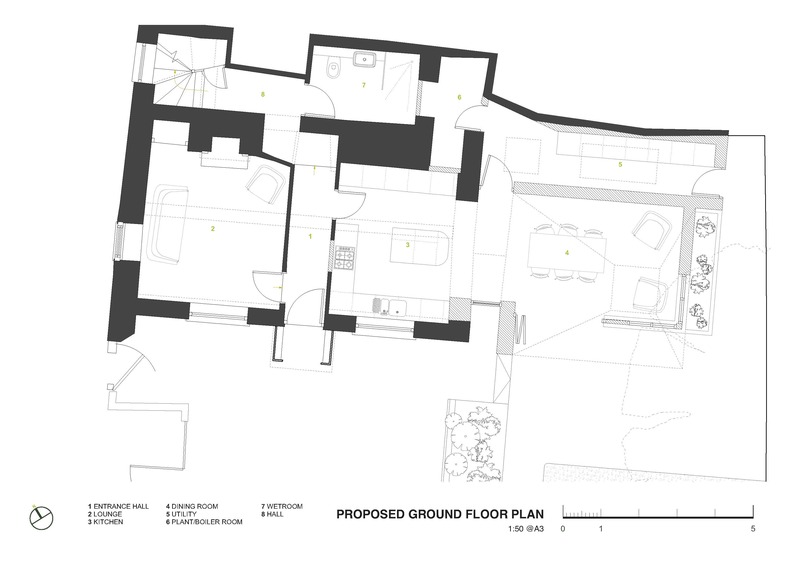 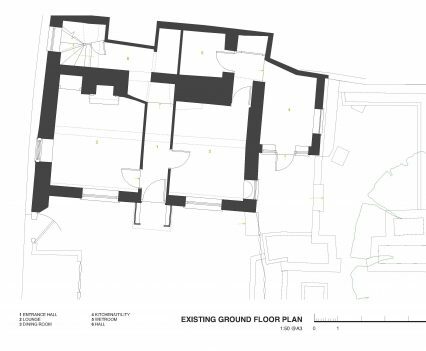 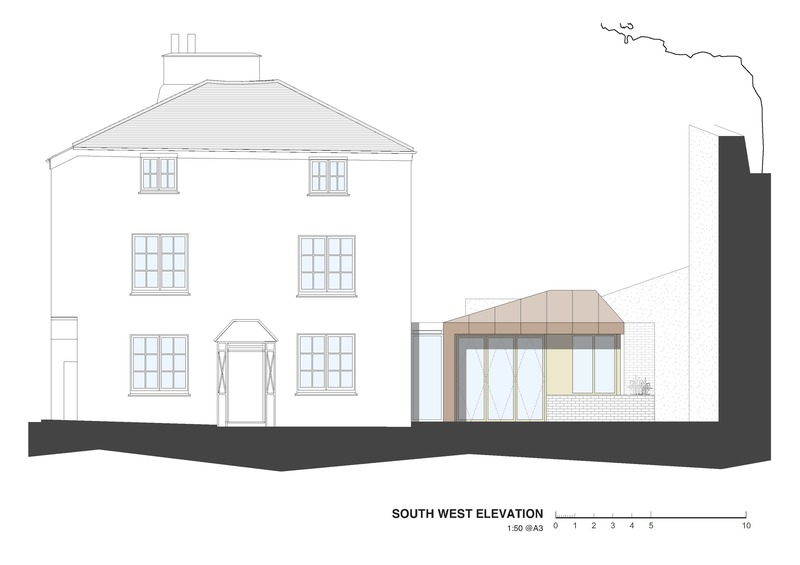 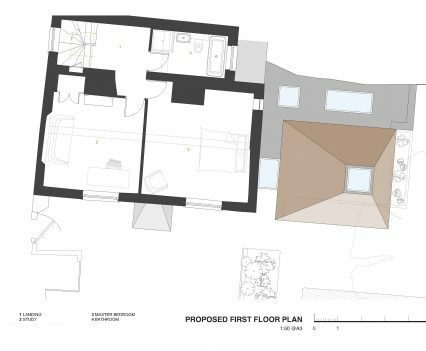 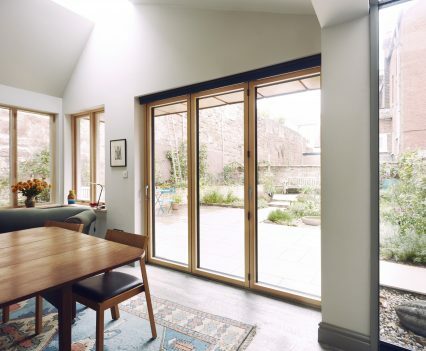 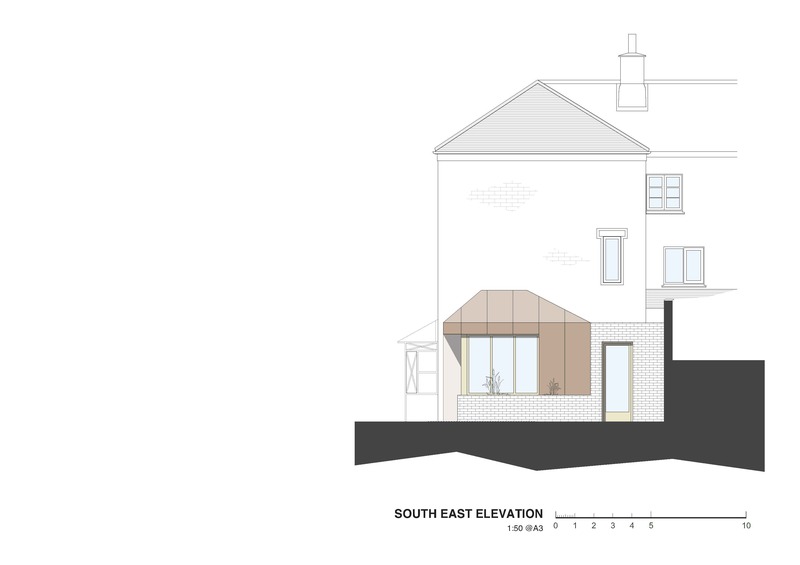 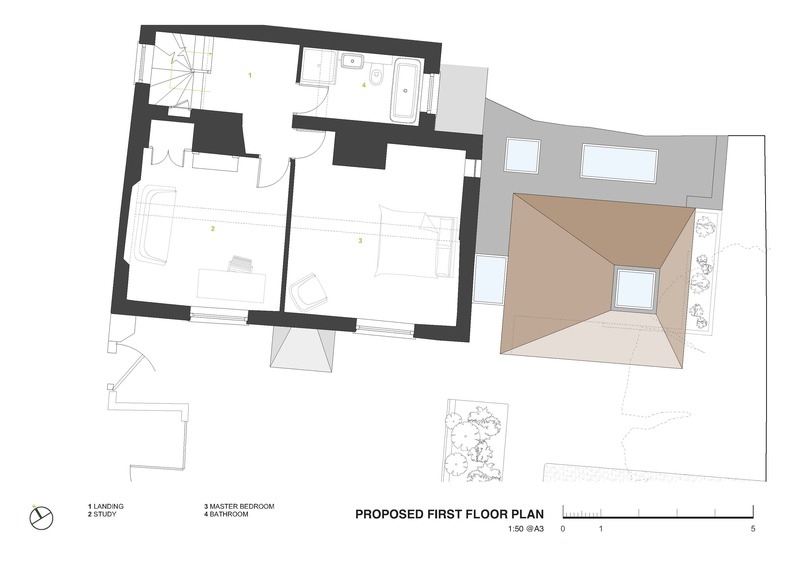 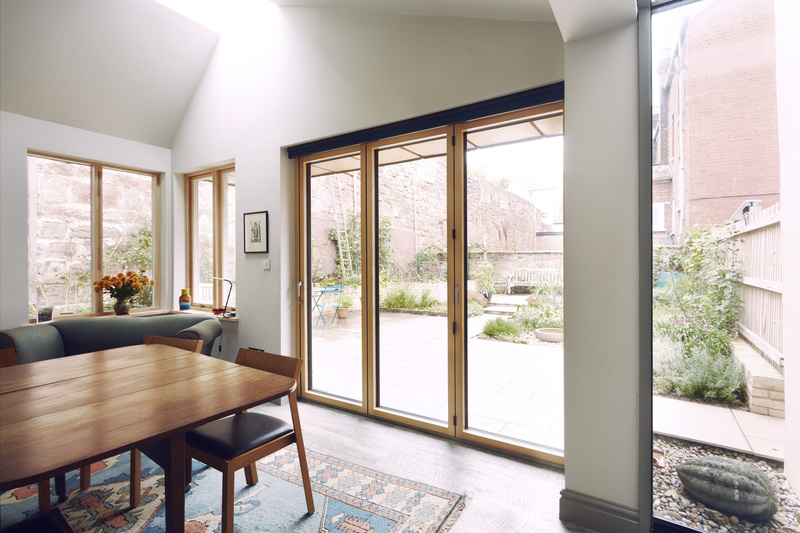 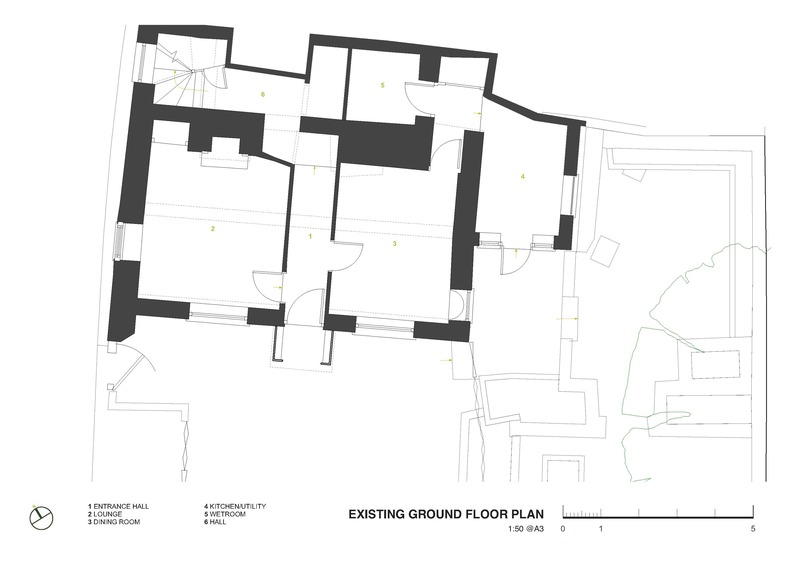 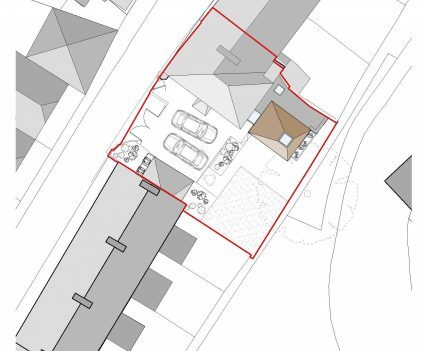 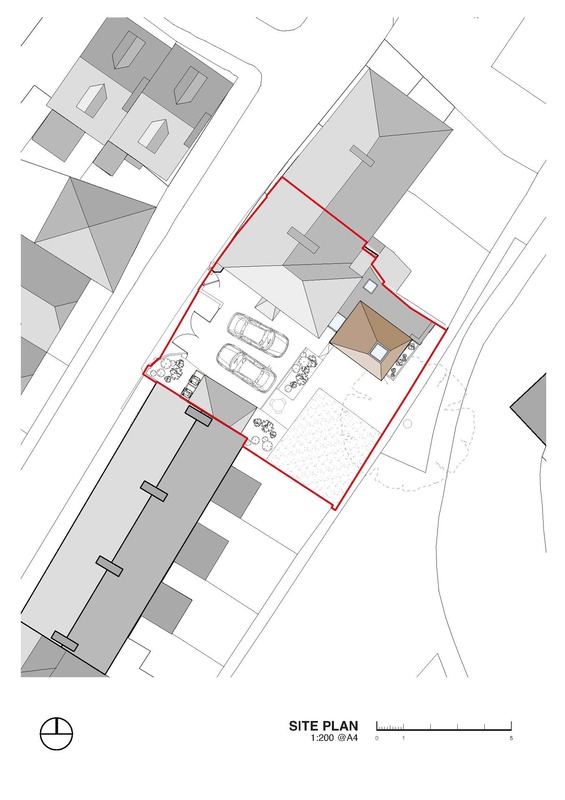 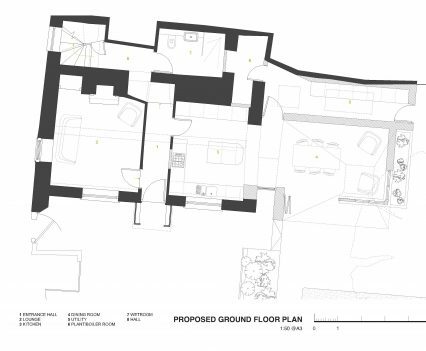 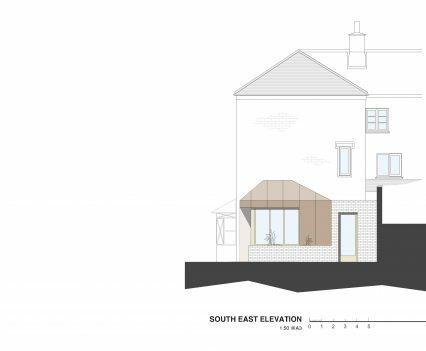 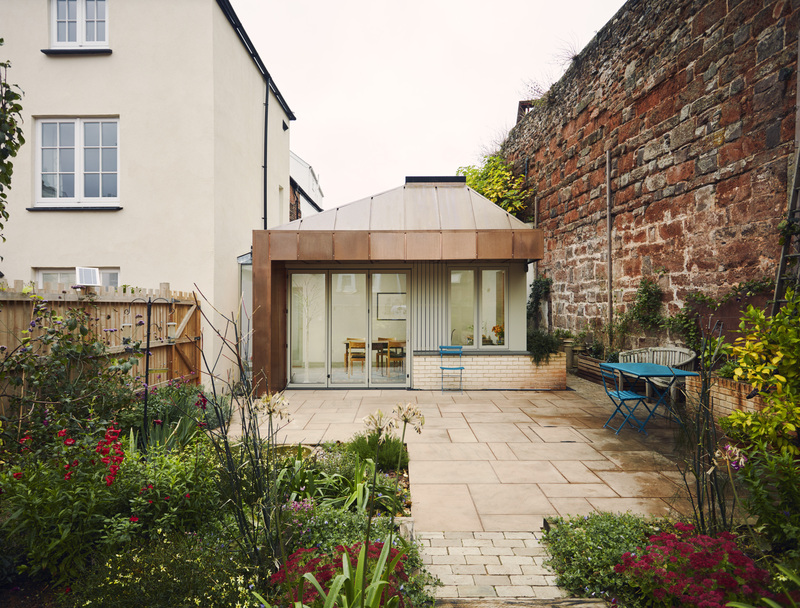 The contemporary approach of the architecture and the quality of the design for the new extension won favour with Exeter city planning officers and Historic England. 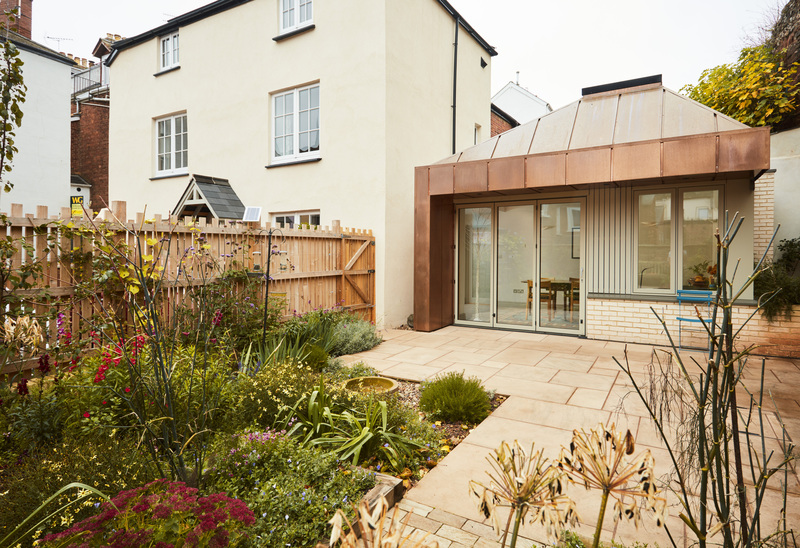 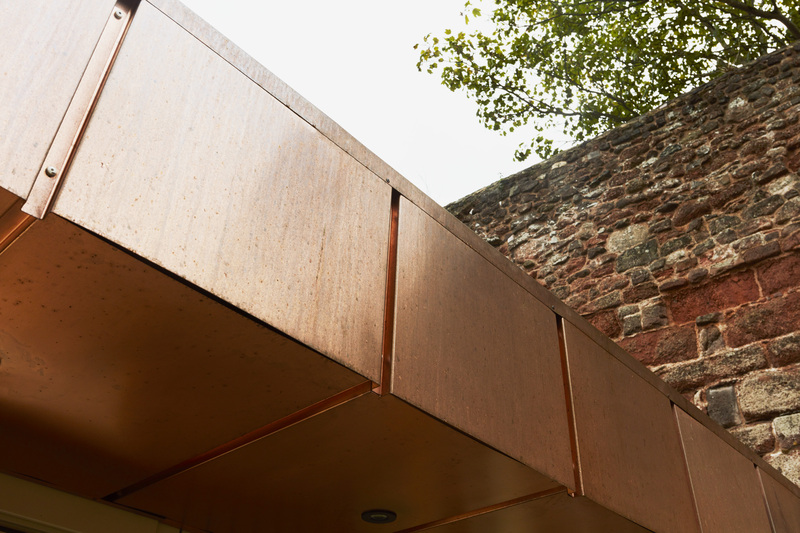 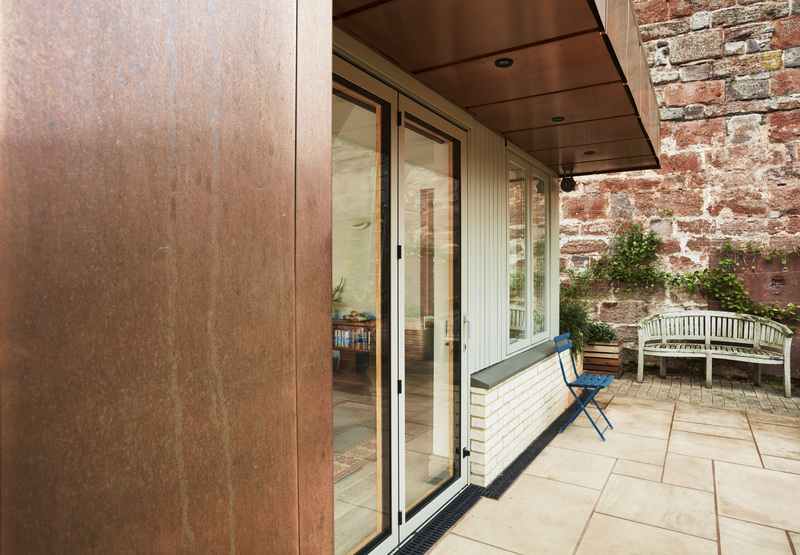 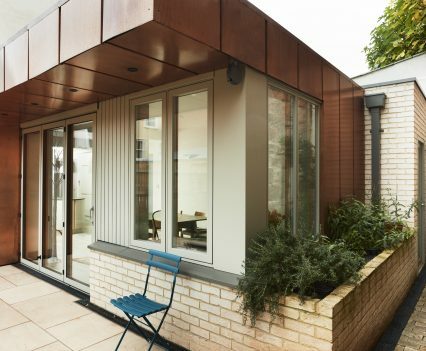 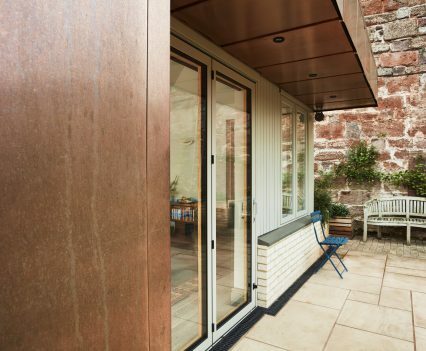 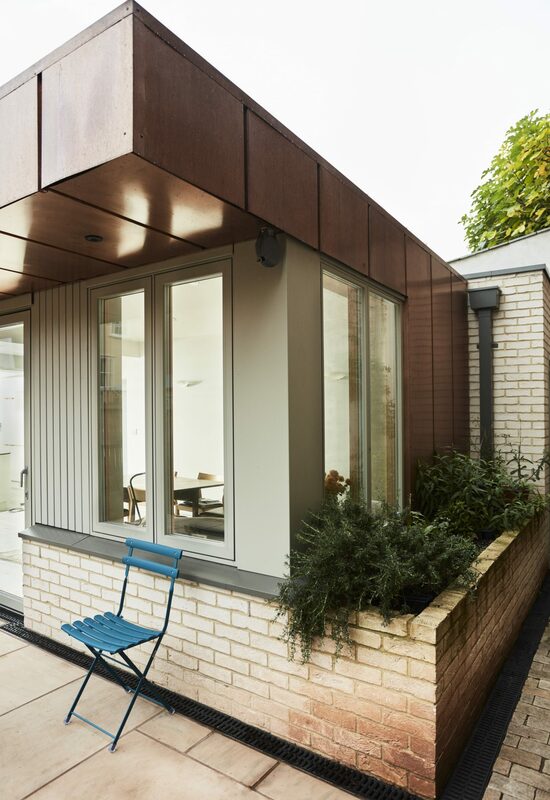 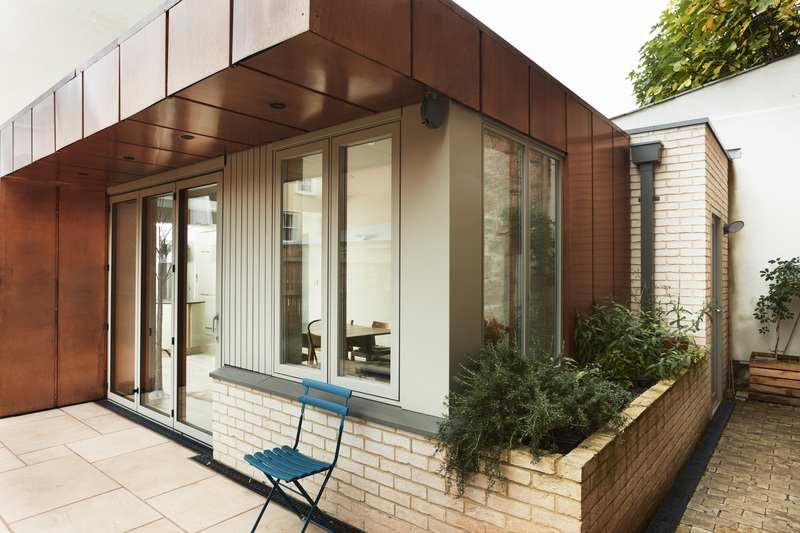 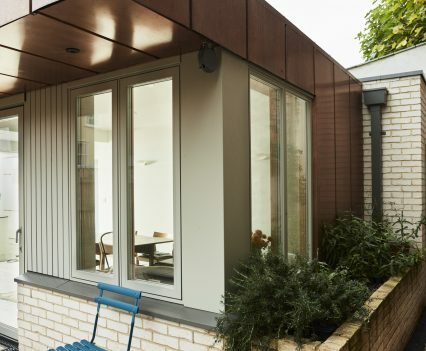 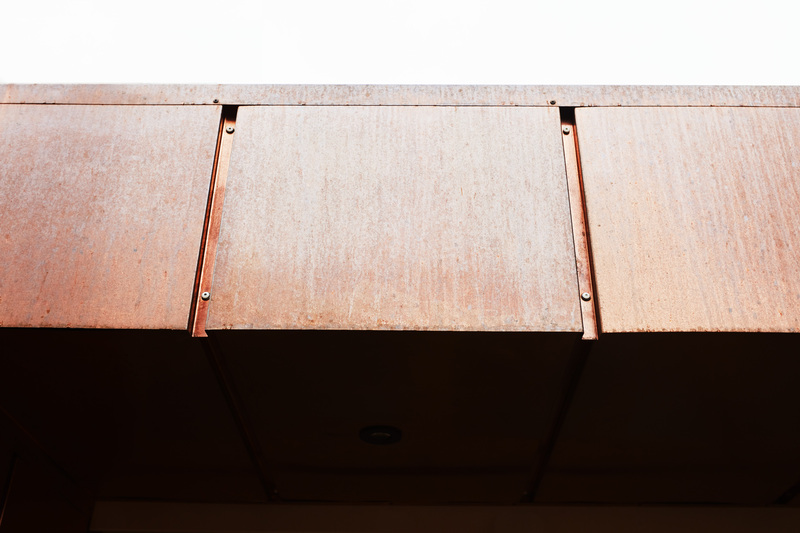 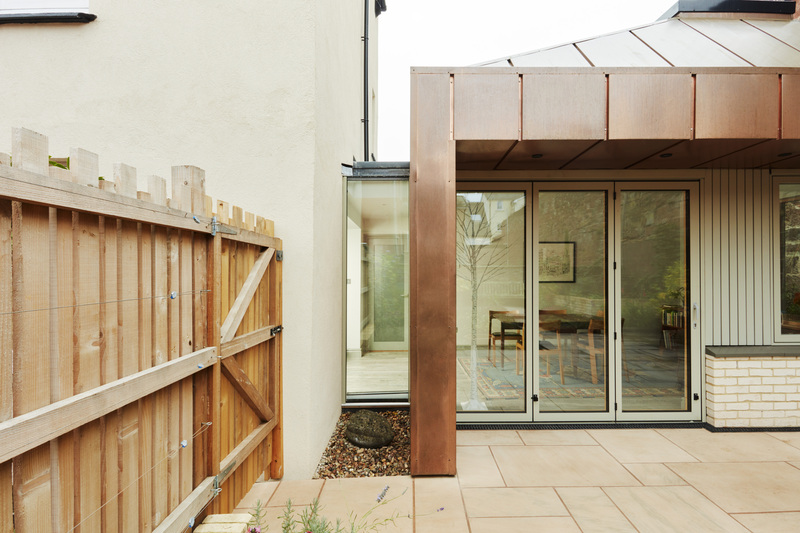 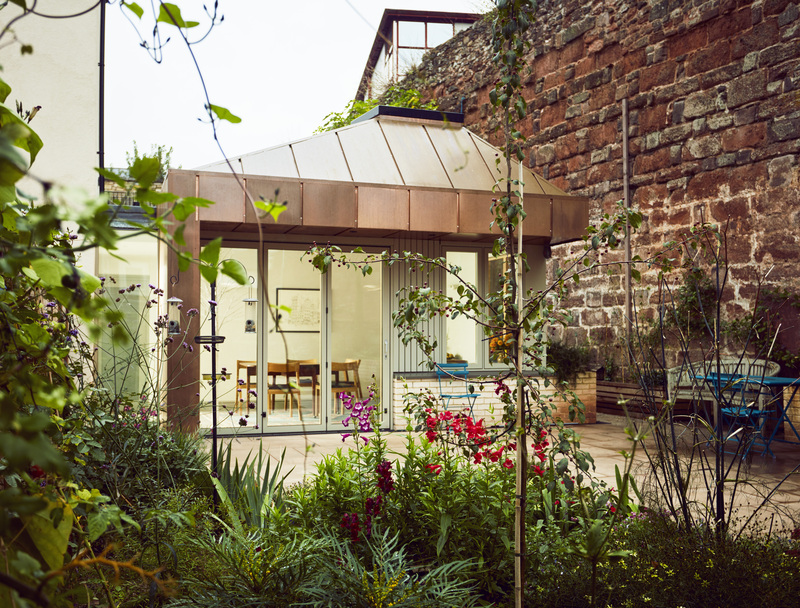 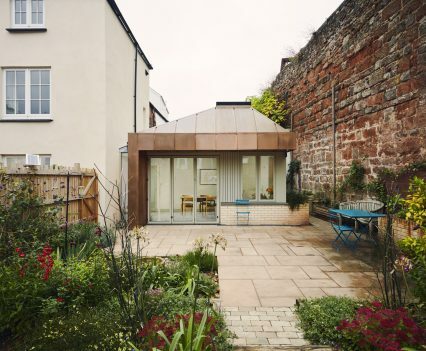 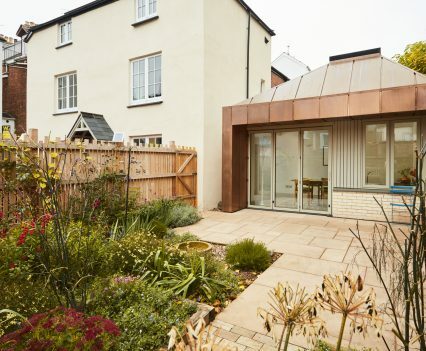 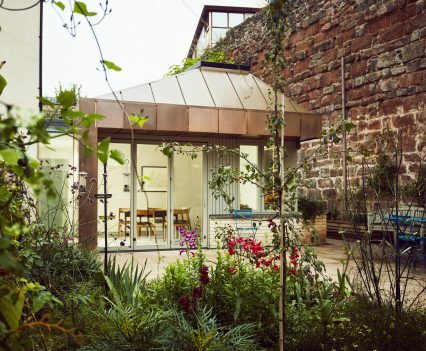 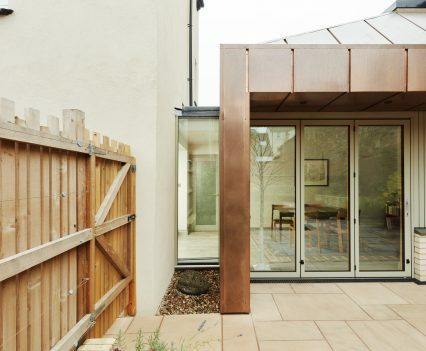 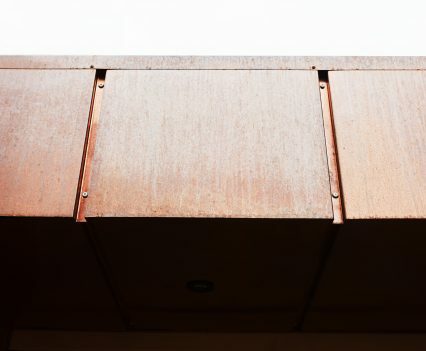 Alongside the eye catching copper clad extension the project included complete refurbishment of the historic building. 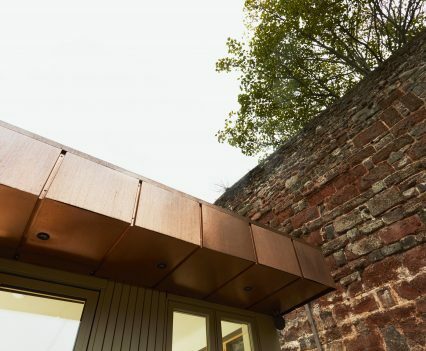 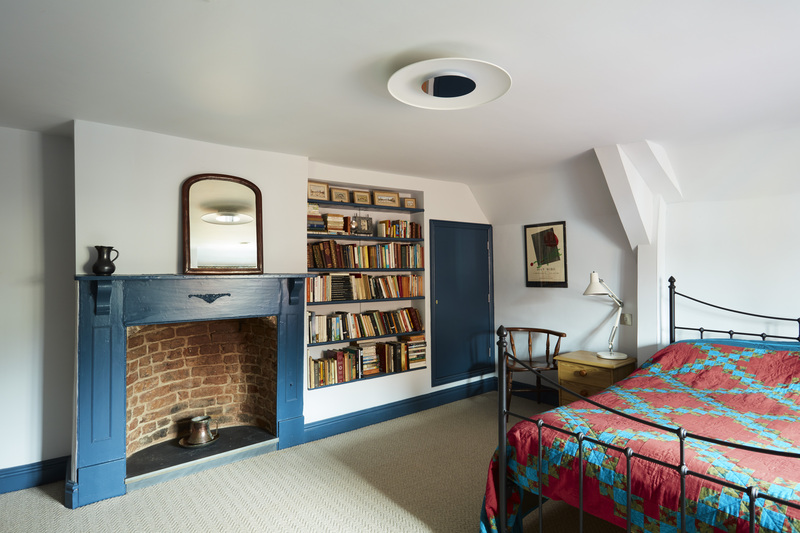 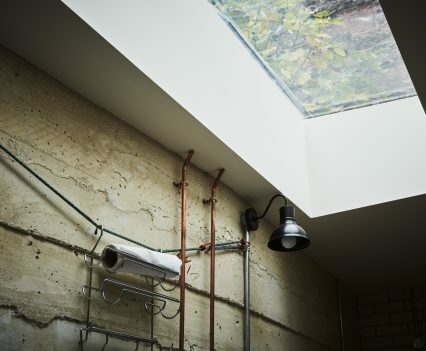 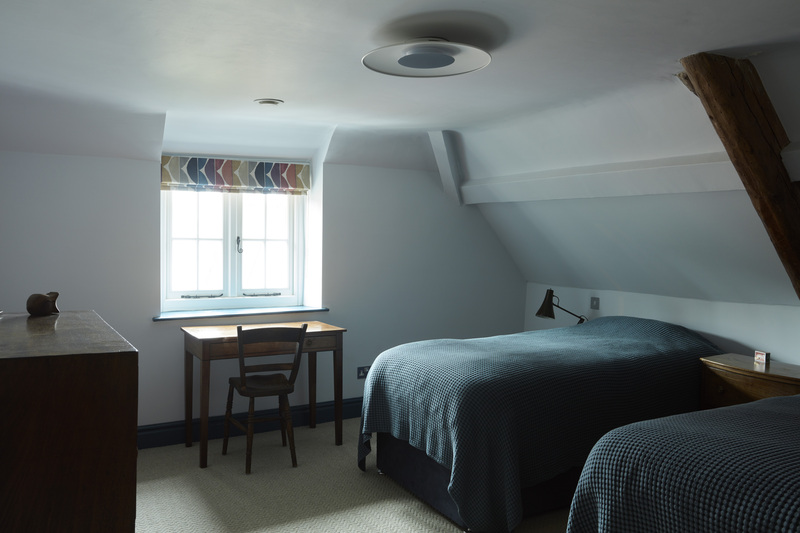 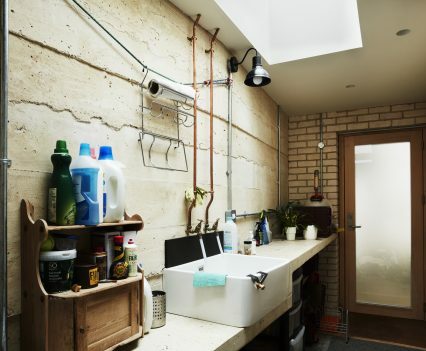 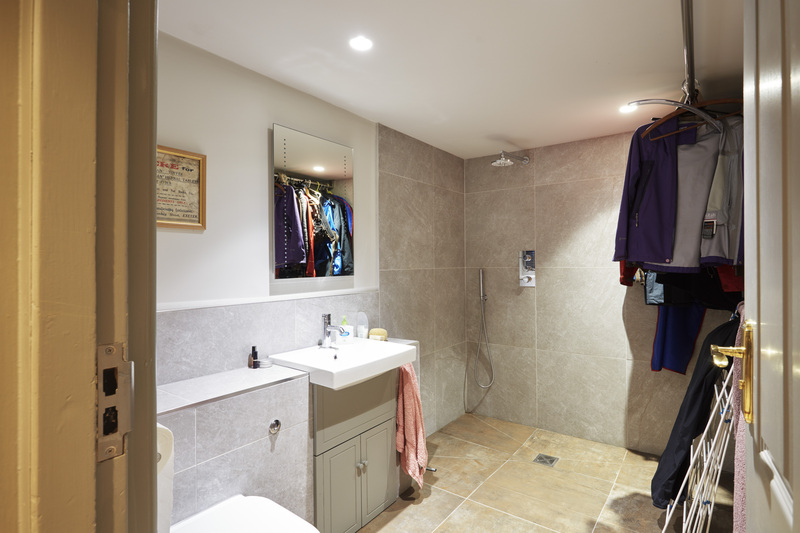 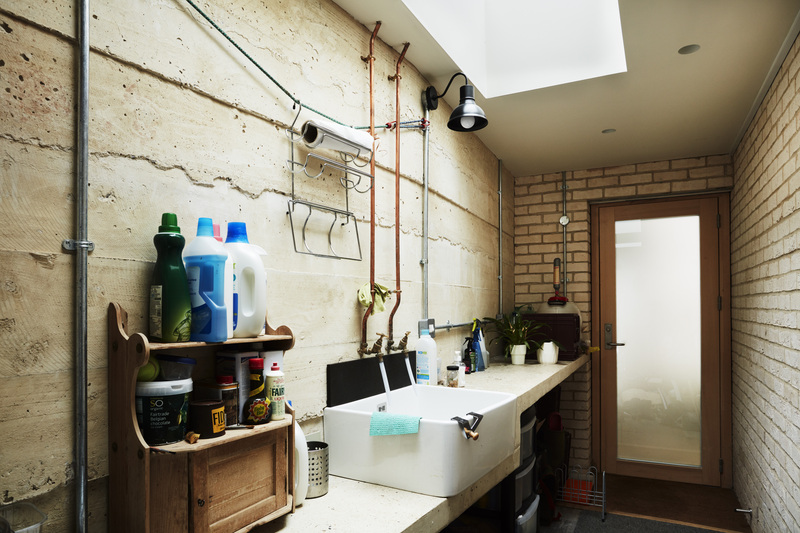 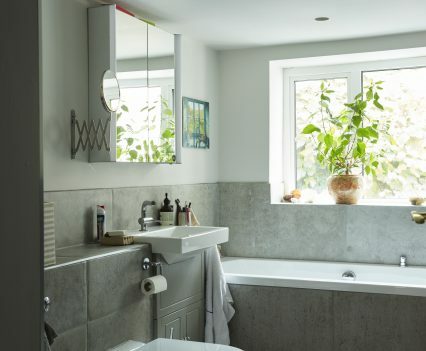 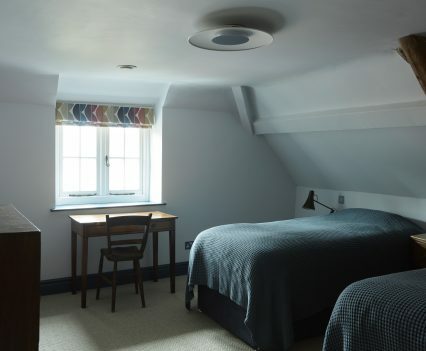 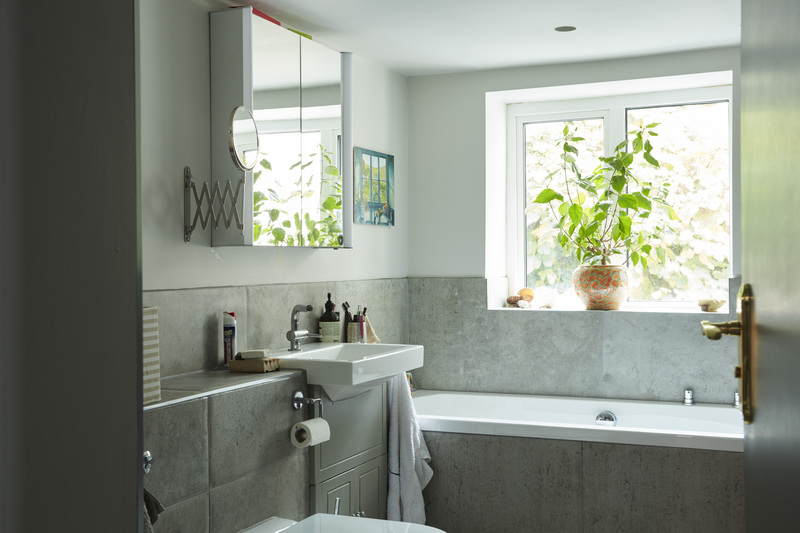 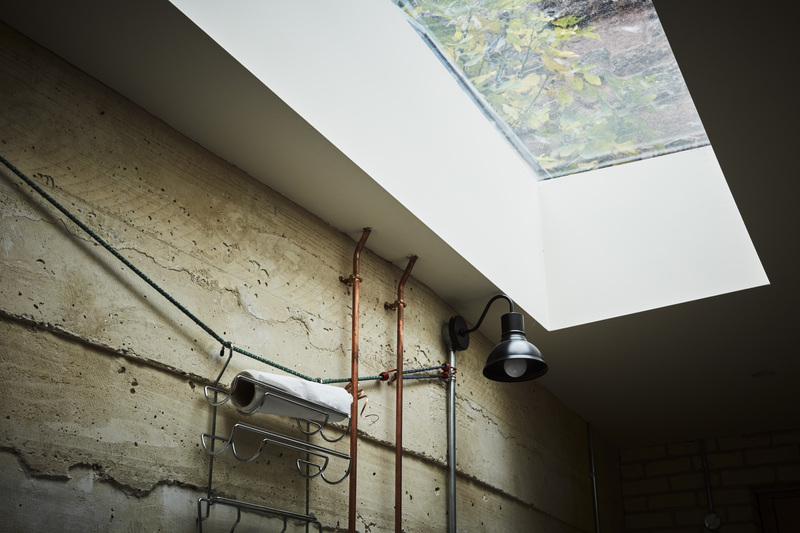 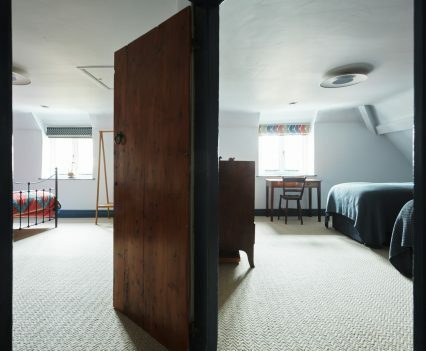 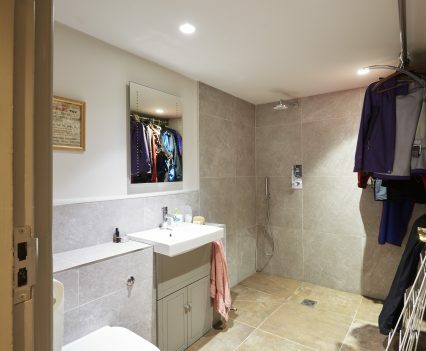 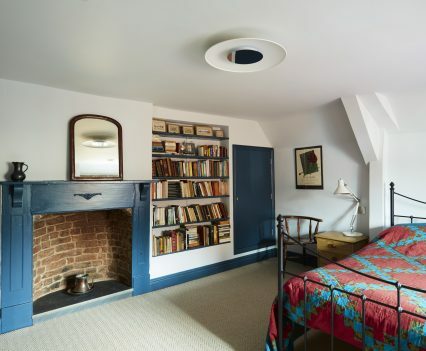 Alongside the cosmetic improvements to all rooms the work included: addition of external insulation to walls, floors and roofs; retrofitting a Mechanical Ventilation Heat Recovery system; and installation of Photovoltaic panels linked to a storage battery.